Facebook Messenger is already one of the most used apps on a lot of people’s smartphones, and that may be about to become even more so after the revelation that the app not only allows people to send text and media to their friends, but also features a hidden chess game that can enable them to play a super-secret game of chess. This is certainly something we were not aware of and we have a sneaky suspicion you’re probably saying the same thing round about now, so here is what you need to do if you want to get your chess on but don’t want to use one of the many chess games available in the Google Play Store or the iOS App Store. 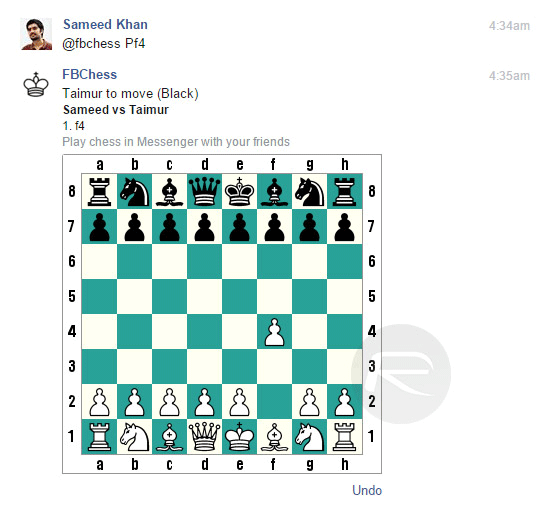 Admittedly, playing chess via Facebook Messenger does at least ensure you’ll know the person you’re playing with. Step 1: Open up a conversation with the person you want to play against. Step 2: Type “@fbchess play” (without quotes) and send the message. 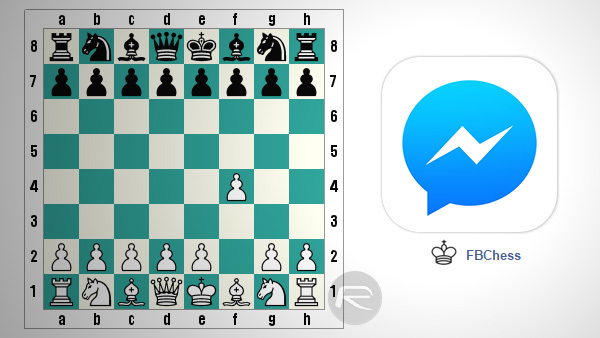 This command will enable the hidden chess game in Facebook Messenger! Step 3: You’ll now see a small chess board on screen, and you or your opponent will randomly be selected for the first move. Step 4: To make a move, type “@fbchess” and then the letter that corresponds to the piece you want to move. For a rook, use R and for a queen, use Q. You get the idea. Finally, add the tile that you want to move it to. So, an example may be “@fbchess Rc4”. 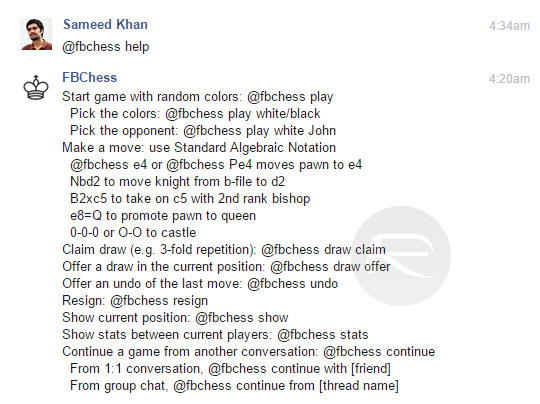 You can enter “@fbchess help” to see the full set of commands. Send the message for the move to take affect. Step 5: Keep making moves until you or your friend wins, or you could enter “@fbchess draw claim” to claim a draw, “@fbchess draw offer” to offer a draw and “@fbchess resign” to resign from the game. 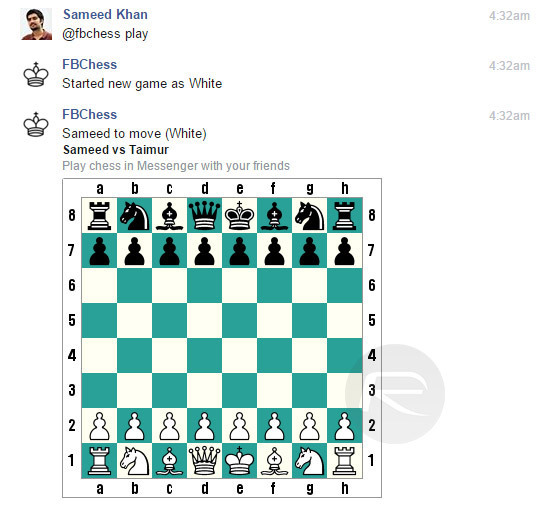 If you are a fan of chess and have Facebook friends that enjoy a game every now and then, Facebook Messenger’s hidden game may be just the thing you didn’t even realize you were looking for! Oh, and it’s all free too, and even works in group chats, Android and iOS Facebook Messenger mobile apps.